If you want to watch British TV outside the UK then you’re probably aware that you’re going to need a VPN service to do this. The problem is it’s difficult to find reliable information on what VPN services are suitable to watch British TV abroad. As a Brit abroad myself longing to watch some quality British TV I’ve been doing some research to find out which providers are suitable and essentially which is the Best VPN for British TV. Below I’ve compiled a list of VPN providers who I’ve tested with the most popular British TV services including BBC iPlayer, Sky Go, ITV Player, All4, My5, BTSport and Virgin Media. This guide will save you time, help you make a purchasing decision and help you watch British TV from any country in the world with the minimum of effort. So let’s find out which providers are suitable and who the best is. IPVanish is my number one choice for a VPN provider for accessing British TV. Mostly importantly their service works with BBC iPlayer, Sky Go, ITV Player, All4, My5, BT Sport, Virgin Media and a host of other UK services. While this might seem obvious it’s not the case with all providers out there and some find themselves blocked with Sky Go, BBC iPlayer and more, that isn’t the case with IPVanish. The second most important feature of their service is the fact they are one of the fastest providers I’ve tested. IPVanish outperforms most other VPN providers in UK server speed tests. This is great news for streaming British TV abroad because it means you’re unlikely to suffer any buffering even if you have a relatively slow internet connection or are very far away from the UK, eg; in Australia. Servers are available in London, Liverpool, Manchester, Belfast and Nottingham. IPVanish support Windows, Mac, Android and iOS. To take a look at their service click the link below. If IPVanish doesn’t take your fancy then ExpressVPN is worth a look. There isn’t a huge amount of difference between ExpressVPN and IPVanish although there are a few negatives which I’ll explain further down. ExpressVPN works with all the major British TV streaming websites so you’ll have no problems accessing your favourite British TV shows outside the UK. The service is also fast enough for you to stream in high quality should you have a reliable enough internet connection. Although the ExpressVPN service is very good they didn’t take my top spot because they cost slightly more than IPVanish and when you can get a better service for less money then it’s easy to see why IPVanish is the superior option. ExpressVPN also has a good selection of UK servers including London, Berkshire, Chessington, Kent and Maidenhead. Software is available for Windows, Mac and Linux with apps for Android and iOS. StrongVPN is my third choice as Best VPN for British TV and if the previous two providers don’t fulfil all your needs then StrongVPN is worth considering. Like both earlier providers the VPN service works with the most popular UK streaming services allowing you to watch catch-up and live TV from anywhere in the world. I’m not particularly keen on the StrongVPN Windows software and found both IPVanish and ExpressVPN to be a little more user friendly so you may want to bare this in mind. The mobile apps, however, are excellent and you shouldn’t have any difficulties using them. 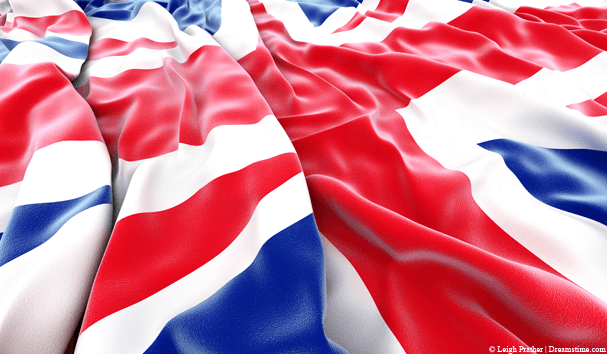 StrongVPN has the biggest selection of UK servers including Canterbury, Livingston, London, Maidenhead, Manchester, Nottingham and Rugby giving you plenty of choices when connecting to a server to watch British TV. I would personally stick with IPVanish but if for some reason they aren’t suitable then StrongVPN make a strong contender as best VPN for British TV. VyprVPN has recently come back in favour for watching British TV overseas. For a long time services such as BBC iPlayer and Sky Go didn’t work which made them useless for British TV. A few months ago it was confirmed that VyprVPN is now working with both services and the whole range of British TV making them suitable to watch abroad. My favourite feature of the VyprVPN service is the fact their software and apps are so easy to use and very user friendly. If you’re new to VPN use then it’s definitely one of the major advantages of signing up to VyprVPN. If you only want to watch British TV then the lowest tier package from VyprVPN will be suitable however if you want to use the VPN to protect your privacy too then you’ll need to opt for their mid or higher tier package. VyprVPN offers a free 3-day trial to allow you to test the service but unlike the other providers you can’t specify any server locations and only have the option to connect to the “UK” rather than specific regions. Overplay round up my selection of Best VPN for British TV options and they offer something slightly different to the above 4 providers that may peak your interest. While Overplay offers the standard VPN service suitable for watching British TV they also offer an added VPN + SmartDNS service. SmartDNS is a way to watch British TV without the need for the privacy protection a VPN enables. As there is no privacy feature it means there is no encryption and because of this there is no to minimal speed loss. If you live in an area with very slow or poor internet then the SmartDNS feature of Overplay could be the answer to your questions. The service is slightly more expensive than just getting a VPN directly from the likes of IPVanish but if you’ve tried VPN solutions and your internet is just too slow then Overplay could solve the problem. With so many VPN services available it’s difficult to make a decision on which is best for British TV. I hope the above options have given you some food for thought and will help you select the best VPN for British TV. My recommendation is to sign up to IPVanish because overall they offer the fastest and best service and in the unlikely situation then you aren’t happy you have a full 7-days to get your money back. If you have a little more time on your hands then it’s worth taking a look at the websites of all 5 providers and then making a decision.